We have also enhanced Opt Out to enable administrators to have more control over who can and cannot opt out of SecureLine email encryption. When sending from LuxSci’s web interface, users can opt out by simply “unchecking” the “Secureline Ecnryption” checkbox in their email composition area. Users in HIPAA-compliant accounts will also have to confirm that the message has no ePHI upon sending. This is discussed in our previous blog post. Users of Outlook for Windows with LuxSci’s SecureLine Outlook Plugin installed can opt out of the use of SecureLine Encryption just like they would with WebMail: uncheck the encryption checkbox and, if they are in a HIPAA account, confirm that the message contains no ePHI on sending. Users of any other email program (e.g. Outlook without the SecureLine plugin, Mac Mail, Thunderbird, Android, iPhone, etc.) or our Premium Mobile Sync service for mobile devices can also choose to opt out of SecureLine Encryption on a per-message basis. This is done by adding some additional special text to the subject of the email message (see below for details). The system detects this subject content, logs it, removes it so the recipients do not see it, and then sends the message without SecureLine encryption. Is a message sent without SecureLine Encryption Insecure? A message sent without SecureLine encryption is not necessarily delivered insecurely to the recipient. 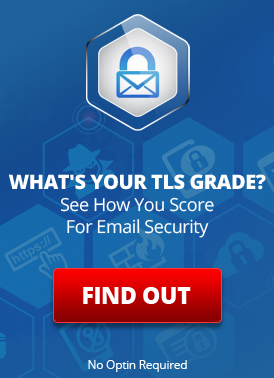 LuxSci uses “Opportunistic TLS” for all messages sent from all users to maximize the privacy and security of your email messages. This means that, even without SecureLine, SMTP TLS will be used to encrypt the message as it passes from our servers to your recipient’s servers … so long as the recipient’s servers also support TLS (e.g. Gmail’s servers do, AOL’s servers do not, etc.). You can use our TLS Support Checker to see if a recipient’s servers support this type of encryption. Use of SecureLine ensures that some form of encryption is always used to deliver the message (and you have administrative control over the types of encryption that can be used). A message using the subject line above would be sent to the recipient without SecureLine encryption and with the text “| nophi” removed so that the recipient doesn’t see it. Administrators who enable use of SecureLine Opt Out for their SMTP users choose a “keyword” and a “separator” for their users to employ when requesting that messages be sent without SecureLine. In the example above, the keyword was “nophi” and the separator was the symbol “|“. Customers can choose any case insensitive keyword that they desire (e.g. “insecure”, “nophi”, etc.) and can also choose from a variety of separators (e.g. “|”, “||”, “##”, “>>”, “/”, “\”, etc.). The message is treated as a “SecureLine Opt Out” and the original subject and recipients and other metadata are logged for viewing in the “SecureLine Opt Out” reports. The separator and the side of the subject with the keyword in it are removed from the subject (so the recipient does not see it). The message is sent without SecureLine. Note that the system is smart and if it detects a subject that does not exactly match the opt out criteria, but which might be close, it will block sending until you update the subject so that it clearly does or does not indicate opt out. E.g. misspellings of the keyword, extra separators, etc., are detected. Another enhancement of the Opt Out process is the fine grained ability to control exactly who is allowed to opt out of encryption. Previously, if it was enabled, then everyone could do it. However, in many cases, only select people need the ability to opt out, or only select people need to be restricted to never opting out. For security reasons, it is best to limit opt out to only those who require it. Only specific users (you select the users who can from your list of users). Anyone except specific users (you select the users who can’t from your list of users). SecureLine Opt Out and other SecureLine features can be configured account-wide, per-domain, and on a per-user basis. See our SecureLine Administrative Overview video to see how to configure settings on an account-wide basis. Domains: Domain-specific configuration can be done in your “account > administration > domains > [select domain] > outbund email >SecureLine Encryption” area. Users: User-specific configuration for SMTP opt out can be done in your “account > my preferences > security and privacy > SecureLine Encryption” area. WebMail opt out can be configured in your “account > my preferences > webmail composition > SecureLine Encryption” area. The following are several examples of subject lines that result in opting out of the use of SecureLine Encryption, assuming the separator is “|” and the keyword is “nophi”. In each case, the recipient would see a subject of only “Here is the quote you requested“. Keyword on the left side of the subject. Spaces after the keyword are valid. Keyword is case insensitive. Spaces before the keyword are valid. Extra text after the keyword is valid. It is logged and removed. You can use this extra text if you want to document why you are sending without SecureLine. Keyword can be placed on the right side of the separator as well. You can include extra text to be removed on the right side as well, when the keyword is used. Once again, spaces before the keyword are valid. This entry was posted on Friday, December 7th, 2012 at 11:12 pm	and is filed under New Feature Announcements. You can skip to the end and leave a response. Pinging is currently not allowed.